Dmitry Kiselyov, one of the most influential journalists on state TV, interviewed the Orthodox patriarch of Moscow. During the tête-à-tête, the latter defended civilisation from moral degradation, issuing dire warnings against the digital economy and credit cards. 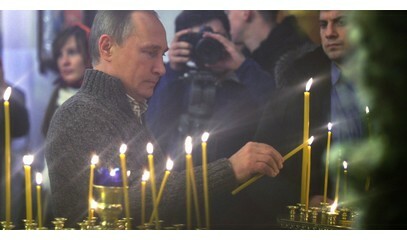 About 2,5 million believers participated in the Orthodox Christmas (out of 145 million Russians). Moscow (AsiaNews) – The period that goes from Orthodox Christmas (7 January) to the Feast of the Baptism (19 January, Epiphany) is known in Russia as sviatki, or days of merriment with people wearing masks like during the Western Carnival. Breaking the pre-Christmas fast and starting the new year (14 January in the Julian calendar) is an ancient tradition, a time of amusement and tomfoolery, to drive away fears and ward off evil, with Ded Moroz (Old Man Frost) and Baba Jaga (an old woman figure) inhabiting Russian tales in lieu of Santa Claus or the Befana. In the tranquil atmosphere of this period, one of the most influential journalists on state TV, Dmitry Kiselyov, interviewed the Russian Patriarch Kirill (Gundyayev), trying to get him to talk about political issues ahead of the upcoming presidential election (18 March). The prospect of Vladimir Putin’s fourth re-election is now framed in his new role as "candidate of the people", not linked to any parties, and increasingly inspired by religious ideals rooted in the Orthodox Christian tradition. In the interview, the patriarch insisted on the apocalyptic perspectives he has increasingly evoked, which, in his opinion, require preparations in order to meet the key challenges humanity now faces. Citing the past, Kirill mentioned the age of the tsars, when Russia assumed responsibility as the "conscience" (sovestlivost) of the international community. Here he referred above all to the post-Napoleonic period, when the Russian empire led by Tsar Alexander I, who triumphed against the Corsican dictator, proposed the "Holy Alliance" among the Christian empires of Europe to avoid new revolutionary adventures. His successor Nicholas I, known as the ‘policeman of Europe’, backed the great monarchies of the continent, starting with the papacy, to defend civilisation from liberal movements and the degradation of moral values. For the Russian Patriarch, such task now falls on Putin's Russia. 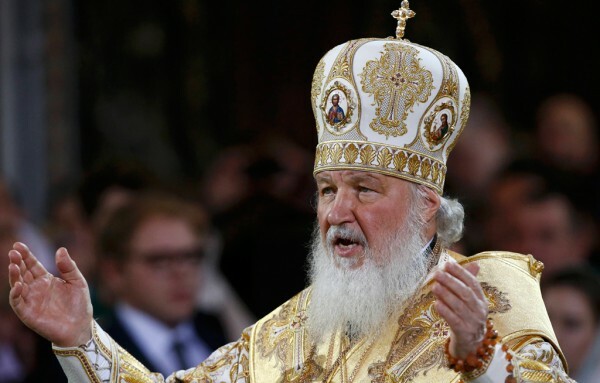 Although he fell short from directly endorsing the political leader who has led the country for almost 20 years, the spiritual head of the Russian Orthodox made a heartfelt appeal to his faithful and to all citizens, to vote en masse. "For the Church,” he said, “participation in the elections of the next president, especially for the Orthodox faithful, is very important." The appeal stems from the fear about a low turnout and the widespread scepticism among the electorate, which does not view the election as a real tool to influence the country’s political course, since it is firmly entrenched in the hands of Putin and his power apparatus, to which the Church hierarchy is also associated. Thinking about the future and prospects after the election, Kiselyov asked the patriarch his opinion about Putin’s programme, in particular the proposal for a "digital economy" on which presidential propaganda has focused. For the Church, this is a particularly sensitive issue since it has opposed electronic transactions for year, viewing them as a "satanic instrument". In particular, the most radical Orthodox groups are against mandatory fiscal codes that contain 666, which they deem an apocalyptic sign of the victory of the Antichrist. “Today, to obtain the citizenship in any European country, a film is shown to those who want to become naturalised or have a residence permit, describing the life of that country, its habits, customs, and laws. In the film, they usually highlight LGBT issues, and after the screening they ask: ‘Do you agree with everything?’ If the person replies ‘Yes, I agree, for me all that is normal’, then they pass the selection process and become citizens of that country. If they say no, they will not get anything. What if access to one's money was limited under similar conditions? These are the dangers against which the Church today is speaking out,” said the patriarch in an ominous tone at the end the interview. Pending the results of surveys and eventually the elections, the Russian Interior Ministry yesterday released data on the turnout of the faithful to Christmas services. Some 11,000 divine liturgies were celebrated across the country on the night of 6-7 January, with 2.5 million people in attendance (out of a population of 145 million). In Moscow, celebrations were held in 400 churches with less than one million worshippers taking part out of 12 million Muscovites. These figures are slightly lower than those of past Easter holy days when around 3 per cent of the population took part, 7 per cent in the capital. No surprise there since Easter is more important than Christmas in the Orthodox tradition. 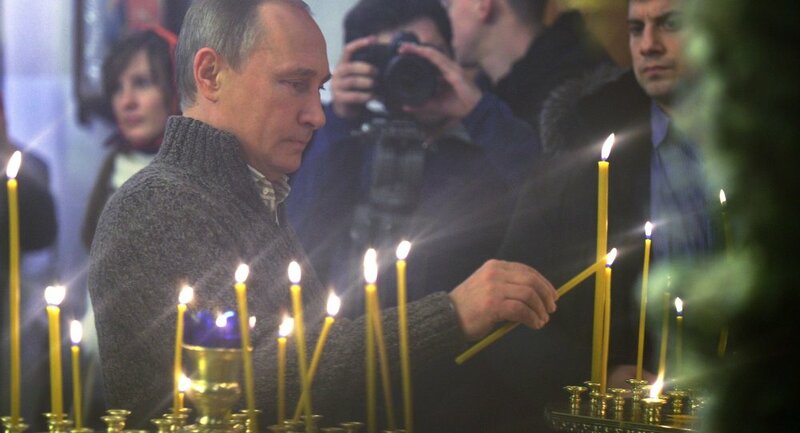 Still, if we are to trust the theory that Putin's supporters and the Orthodox community are one and the same, the patriarch’s appeal for participation seem to be amply justified.